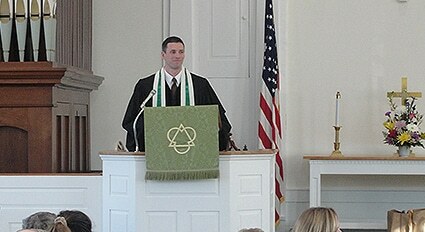 The heart of First Congregational Church is Sunday morning worship. Our worship services are intended to bring us into communion with God, and, looking especially to the life and teachings of Jesus, to inspire us in our daily living so that we might have courage to do good, compassion to love others, and gratitude to care for all that God has created. The Scripture and Sermon, which are central to our worship tradition, provide spiritual insight and encouragement each week. 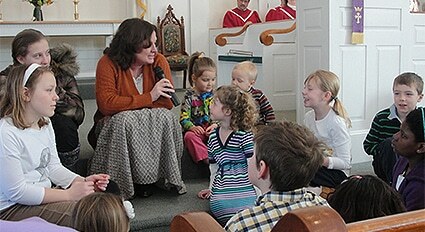 Most services include a Children’s Message toward the beginning of worship. Children are invited to join the Minister at the front of the Sanctuary for their special time and then are escorted to their Sunday School classes in our Parish House. Music is the thread that holds the service together; and First Church’s music ministry is a particular source of pride, as we are blessed with a great deal of musical talent in our congregation. 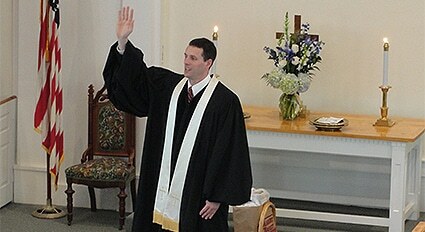 The service begins with an Organ Prelude which invites us into a spirit of worship. The Choir sings an Introit and then processes to their place during the opening hymn. 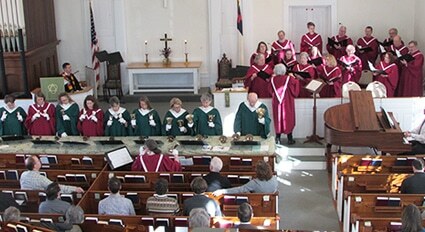 The congregation sings three hymns that are selected from the Chalice Hymnal and the Pilgrim Hymnal. Each week our talented Chancel Choir sings at least one anthem, and once a month our equally talented Bell Choir plays an anthem. With the Benediction at the end of the service, we are reminded that the reason we gather together is to be sent out again into the world, refreshed in spirit, inspired to become more like Christ, and emboldened to become part of the renewal of God’s creation. After worship, all are invited to Fellowship Hour in our Parish House, where we greet one another warmly over refreshments.